Overloaded? Out of Control? 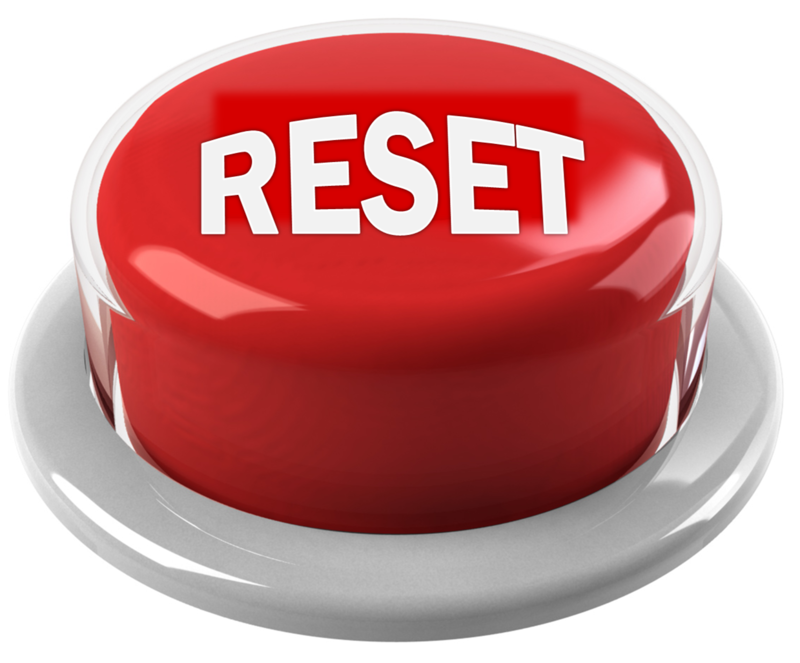 Press the Reset Button. Out of control? Time to reset. When things get out of control, work is very stressful. The solution is to take control. In numerous school scenarios, I’ve found that it helps enormously to seize control out of the chaos by pressing the Reset Button: clearing it all away and starting again. This applies to marking, behaviour management, emails, reports and general planning – every situation where things feel that they are running away from you. When talking to teachers who are feeling that things aren’t going as well as they’d like, I find that giving them the confidence and permission to do this goes a long way. Hopefully, they then learn to give themselves the permission! Sometimes it gets out of hand. If you routinely set a good volume of challenging work to all of your classes, the amount of work that accumulates can be very significant. But, as I outline in this post Marking in Perspective, you can’t mark it all. Not just because it is impossible, but because that isn’t a productive use of your time or necessary or desirable for the students, especially when some time has passed since they did it. Ideally, you have a workable routine, with a good balance of in-class checking and selective marking. But, even with a sensible marking plan, it can still spiral if you don’t manage to keep to your routine. I had this problem myself recently. Several times over I collected books in, took them home and found myself too tired or too busy to mark them. Each week that went by, the problem grew because the students’ work kept coming – work I’d promised to mark. I calculated that I’d need 8 hours to mark all the work properly. Just from one class! Time for a reset! A strategy I have used before is the ‘fess-up’ method. You need to acknowledge the issue with the class and write-off a whole chunk of marking: “I’m really sorry guys, there’s just too much here to mark but we’ll focus on the most recent piece which should give you the pointers you need.” Or, set a test and tell the class that you’ll focus on that instead of going over everything in their books. On this most recent occasion, I went for ‘catch-up’ instead. I dedicated two back-to-back lessons (about three hours in all) to one-to-one feedback. I set the class some written work and called them up one by one to talk through their work. With each five-minute chat, I could communicate so much more than I could in 20 minutes of marking, scanning through multiple pieces of work: strengths, areas to improve, general words of encouragement, some explanations of tricky concepts. Once they’d seen me, their task shifted to a DIRT session – acting on the advice I’d just given. It cleared the decks for me and worked OK for them. Phew. It wouldn’t work as a routine practice – but actually I found it really useful and interesting to talk to them all one by one anyway. Once you’ve reset the marking, you feel SO much better and everyone benefits from that. You re-claim the territory; re-establish your expectations and give yourself a clean slate; a chance to be on the front-foot and to be positive. When you get the atmosphere you want – tell them. “Thank you. This is lovely. This is what I’ve been asking for.” From then on you can follow-up on the sanctions more consistently and assertively, setting higher standards than you’d managed before. It’s a huge relief. It will last for a period and you may need to reset repeatedly before it is fully embedded. a) Go Long: I sketch out a plan for the next few weeks with some kind of end point in mind: a target date for finishing this particular set of lessons. It’s useful to share this with the students. By doing this you can compress certain teaching phases, eliminate non-essential content and deliver lessons with a bit of additional verve to get through things and back on course. You and the class are on a mission – and it can have a really positive effect. As a science teacher, I like to accompany this with a sketched long-term plan for my technicians: this is what I need for the next four weeks. Boy – does that feel good; so much better than grasping around at the last-minute during the out-of-control moments. b) Use stuff that is already there: Teachers waste a lot of time reinventing materials and planning lessons from scratch. The office shelves and the shared area on the network are packed with resources; the scheme of work actually gives great starting points to use and adapt – I need to use them! And, if there are text-books – bonanza! Look no further. Most importantly, the people in my team have probably done this all before. Some teams have shared planning embedded in their weekly routine; others seem to involve everyone doing their own thing in parallel. Collaboration is a life-saver: sometimes I need to remind myself. We are not alone! The reset solution to the pile-up in this area is simple: Let it go. If things feel out of control, then a bit of ‘bin therapy’ is perhaps what you need. I do this at the end of every half-term with all the paper on my desk. 90% goes in the bin and I almost never file anything. It feels great. With email, anything more than a couple of weeks old is Dead. When I’m trying to reset my email backlog, I usually trawl for emails from parents and ignore the rest – it will all come back again if it matters. (Apologies if I have ignored your email….but there’s only so much time in the week and, genuinely, I do my best. That’s fair isn’t it?) I think we should be forgiving of each other in this area; if you get cross over an answered email, you’re not helping! Try again – be patient. Report-writing, if done well, can be time-consuming, even with fancy statement banks and so on. However, for people with multiple classes in one year group, the task can be overwhelming. Here, the obvious answer is to see this coming and to plan ahead, getting in as early as you can leading up to the deadline. But, if you haven’t managed that and the deadline is looming with too many reports to write, the reset button needs to be a conversation with someone – the sooner the better. You just need to acknowledge the problem and tell someone. In the past I’ve helped people in crisis in different ways: sharing the reports out; accepting more generic reports (rather than have none) or giving cover to allow a teacher to finish them. None of the answers is ideal – but if a colleague is in a hole, you need to help them out – not bury them deeper. Ultimately, we’re all human; the most professional and committed teachers have moments where they feel things slipping out of control, especially if they have a sensible attitude to work-life balance. So, give yourself permission: take a breath and start fresh. « Inclusion and Exclusion in a Community School. An excellent article, shared with my department. Thank you! Excellent post about overloading by @headguruteacher, I particularly agree with the part about answering e-mails. Emails. Do you need to give your staff some guidelines about when to email and when not to? Or, have several different accounts…one for parents only, one for staff emails that definitely need a response from you, and one for others (just for copying you into info that you might need in the future). At the moment, how do your staff know if you have read an email, or haven’t (this must waste someone’s time frequently, I’d guess). I’m lucky – I have a PA so I do pretty well with answering most staff emails. The odd one slips through. When I’ve done more of my own sorting, I’ve struggled more – there is just so much traffic from supply agencies, companies selling things and being cc’ed into nearly everyone else’s stuff. This is such sensible advice, Tom. So important that heads and other senior leaders accept it applies to them AND to their staff. Often teachers who might need/want to do the above are fearful of the response of their leaders and managers (and Ofsted…). Frozen’s ‘Let it go’ has a lot to commend it….! 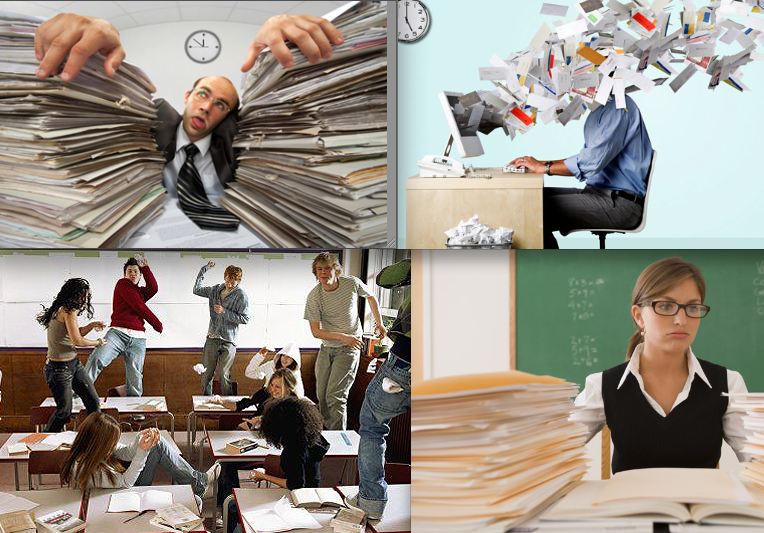 I am feeling overburdened – need staff – desperately. This is a genuine post. I love the idea of ‘fess up’. Sorry, didn’t have time to mark your homework…..but that’s only a fair technique if you are prepared to offer the same option to your students. They too are being bombarded with a full day with homework (plus sports, music, theatre, voluntary work, part time employment etc). I think it’s ok to offer students a ‘pass’ on a homework. I agree. If students have the occasional slip you don’t mind. It’s the kids that never do it that are a problem. After all, the homework is for them, not for us. Good advice as always. We have a nice way of doing reports at our school: we give several indicators as to how the students are doing but we don’t write any words. It becomes a very quick process. The rationale behind this is that what might be written can instead be said verbally at Parents Evenings. After a near break down last October when trying to cope with difficult personal problems and increased workload, my headteacher gave me this exact advice re: marking and planning. Let it go and start a fresh. Keep lessons simple. They’d rather I be in teaching than off sick. It was not what I was expecting but made me realise that every so often you need to do this to preserve your health and wellbeing. Absolutely. It was good advice.